Sir Alan Herbert (A.P.H. 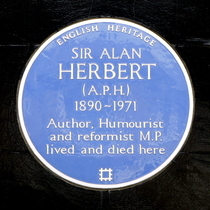 ), 1890 - 1971, author, humourist and reformist M.P. lived and died here.